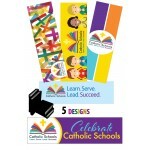 Celebrate Catholic Schools Week with this colorful pencil. 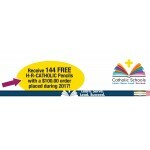 All Harcourt Pencils are #2 Lead Woodc..
Catholic Schools Week - January 28-February 3, 2018. 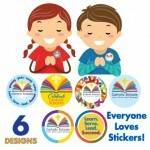 Everyone loves STICKERS! 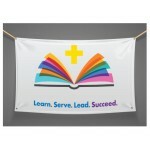 Order these colorfu.. 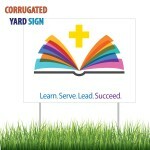 Perfect item for outside the front door...corrugated 24x18 sign. 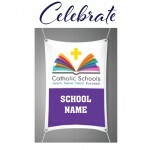 Wires are included ... you may C..
Customize our designs with you schools logo and colors! Minimum Order 100. Stock Number : B..
Show Your Pride . 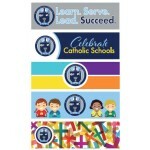 . . Catholic School Week Pencils. 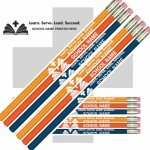 All Harcourt Pencils are #2 Lead Woodcase Pen.. 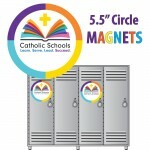 Recognize Catholic School Week with Harcourt Magnets! 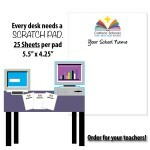 Size 5.5" Diameter • .20 mil thickness..
Order Harcourt's Catholic School Week Scratch Pads and celebrate year round! Size 5.5" x 4.25" • ..